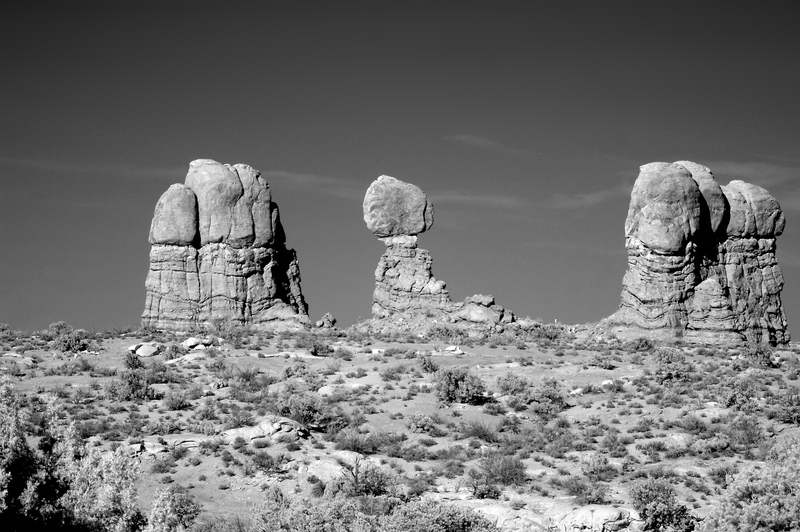 From last Spring’s nXnw trip to Moab, Utah, this is the Balanced Rock formation in Arches National Park. This was taken with an old Nikon D40 camera that has been converted into an infrared camera. The black and white conversion was done in camera where I set the D40 to create black and white JPGs in addition to the raw version. I tweaked it a bit in Aperture. If you want a sense of the scale of this formation, look closely at the middle of the gap on the right and find the person in the white shirt.